As the prevailing of HD camcorders, such as JVC HD camcorder, Panasonic, Canon, Sony, etc., MOD and TOD video formats become widely known to average users. Yet for iPad iPhone users, it's truly a headache to play MOD TOD videos on iPad iPhone. Q: Hello. I have tons of JVC HD camcorder videos and want to watch these precious videos on my iPad iPhone. But .mod and .tod files are not playable on iPad iPhone. It's really troublesome to convert MOD TOD to iPhone iPad friendly files (H.264 or MP4) then sync with iTunes. Besides, they'll take up huge internal memories of my iPad iPhone. Is there a simpler way to play MOD TOD videos on iPad iPhone without pre-converting and syncing? A: Yes. Steaming MOD TOD to iPad iPhone is the way and Air Playit is undoubtedly the comprehensive and efficient MOD TOD streaming solution for you. Air Playit is a free desktop-to-iDevice video/audio streaming app which is capable of streaming JVC MOD TOD videos to iPad iPhone via Wi-Fi, 3G/4G network. It supports Live Conversion that saves you from troublesome and time-consuming format conversion beforehand. The MOD TOD streaming process is on the fly and you're able to watch the memorable MOD TOD videos on iPad iPhone instantly without any waiting. When Wi-Fi, 3G/4G network is accessible, you can play JVC HD camcorder videos on iPad iPhone whenever and wherever you are. 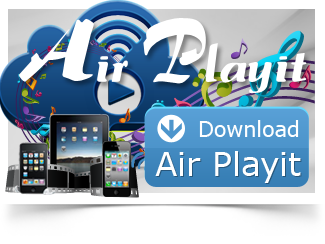 Air Playit app works in conjunction with a desktop server (both PC and Mac versions are available). 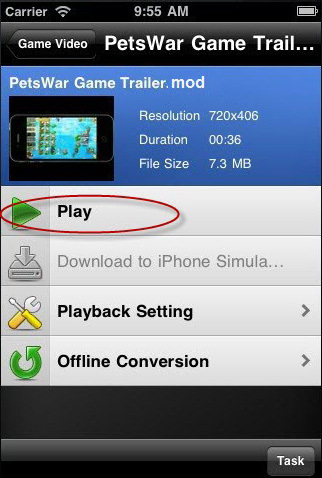 You need to install Air Playit app on your iPad iPhone and install server on your PC/Mac individually. 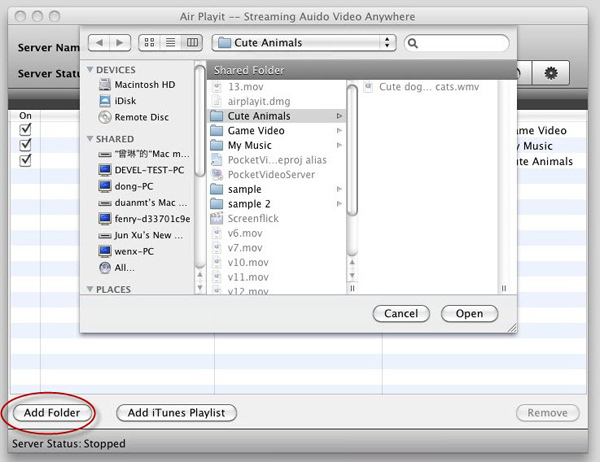 Step One: Run Air Playit server on your PC/Mac and click "Add Folder". You can add MOD TOD video files from your computer under the "Shared Folders" tab. Tips: Adding MOD TOD files under the "Shared Folders" on Windows OS, and under "Sharing Folder" on Mac OS. Step Two: Launch Air Playit client on your iPad iPhone. Air Playit can automatically discover the server via Wi-Fi, 3G/4G networks by Apple Bonjour Service. Or you can add server manually by specifying IP address. Step Three: Choose the MOD TOD video you want to watch on iPad iPhone and click "Play". Streaming MOD TOD to iPad iPhone is on the go. Besides streaming MOD TOD to iPad iPhone, Air Playit is also capable of streaming AVI, WMV, M2TS, MKV, etc. to iPad iPhone. Wanna play M2TS/MTS on Android? Air Playit helps you streaming M2TS/MTS to Android without video format conversion. Free download the Android App. Share HD Camcorder recorded M2TS/MTS video with friends on Android. 720p and 1080p are the shorthand identification for a set of HDTV video modes having a resolution of 1280×720 and 1920×1080 separately. Air Playit is capable of streaming 1080p/720p videos to iPhone iPad via WiFi, 3G, 4G network. How to Stream MKV HD Video to iPhone iPad?